← What is Paving the Way? Dark Versus No Contact: Is there a difference? Maybe. Maybe not. Sorry for being so annoying! Dim and Dark are not boundaries, No Contact is a boundary and boundaries are rules which are communicated along with the consequences for breaking the boundary and ways to have the boundary removed. Dim and Dark are not boundaries, but that does not mean you can’t have no contact (notice the lack of capitalization) without a No Contact boundary and that would be very Dark. Dim and Dark do not need to be communicated because they are not boundaries and thus the contact limitation is not a rule, it’s just a way of interacting even when there is actual contact: responsive rather than reactive, reserved, distant and detached. Think of No Contact as a non-legal restraining order—contact of any sort other than through a mediator is not allowed—versus simply not having contact, but without a rule forbidding it. Contact limitations will change throughout the crisis and will be different depending on the contact type of your MLCer. Those of you whose MLCers are Distant Contacters may not ever need to have an official No Contact boundary. This is why I am not an advocate of No Contact in early MLC; you can have no contact without the rule against contact and that keeps a path open for communication which at the early stage is important for Paving the Way. When there is a rule, an early and cycling MLCer may be afraid to contact their spouse for a connecting Touch-n-Go because No Contact is often associated with anger, disgust and giving up. An early MLCer is still too fresh in their crisis to understand or at times care about ways of removing a boundary because they are still too caught in their crisis as well as in in-fatuation with an alienator. Dark when there is no contact leaves communication open for non or lesser emergencies. If your MLCer calls or emails or texts, you can answer or choose to not answer. When in a No Contact boundary, the rule is that you will not answer. Regular contact for child-related issues is not an exception to a No Contact boundary, rather it is indicative that you either need to be Dark rather than in an official boundary or use a mediator (friend or legal) for custody exchanges and communicating child-related issues. 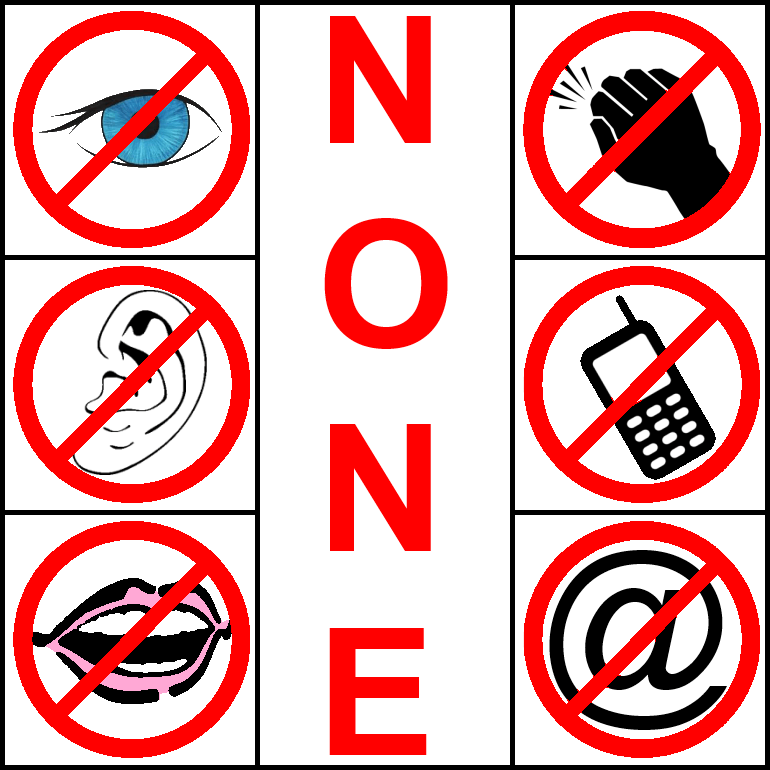 No Contact does not mean an MLCer will not try to contact you; it means you will not respond to their contact attempts and that you will not initiate a contact. To Monster it’s a game and setting a rule can be providing Monster with something to resist. A benefit of being no contact without an official No Contact boundary is that if you initiate or respond to contact there is no need to explain why you broke your own rule and Monster did not get you to break a rule. This is usually a temporary and set period of time. Reason: Consequences for being an inappropriate spouse i.e. consequences for a continuing relationship with the alienator. Until the MLCer chooses more appropriate behavior toward you. How are we to contact the MLCer and how often? Or is this not meant that we, the LBS, should contact them, but just respond as they contact us? If you are in an official No Contact—that means your MLCer knows about the boundary—then you will not answer respond to a contact by answering the phone, email, text, door… and you will not initiate contact either. No Contact does not mean that your MLCer will not try to contact you; that is not within your control; though it is their attempt to get you to break the boundary. I’m slightly confused. Many on the forum have stressed No Contact as contact appears to be pursuing. Initiating contact may be pursuing, but a No Contact rules goes beyond not initiating; it also means you will not respond to your MLCer when they initiate contact with you. When working with the Boundary, your MLCer needs to know that this rule is in place because the idea is that they are not supposed to call you at all (unless it’s an emergency). But we know how MLCers are with supposed to sort of stuff. A No Contact boundary does not mean we will have contact if you initiate it. It means NO contact and even if you contact me I will not respond. No means none, zero, zilch—other than the exceptions listed above. My MLCer overanalyzes everything and sulks if he thinks I am ignoring him. Going No Contact without warning him did more damage than good. My MLCer’s esteem is so low and my fear is that No Contact will confirm his worst suspicions that I don’t love him. But if I explain why and validate him it makes sense; It’s an I love you, but hate what you’re doing. These are excellent examples why No Contact is a boundary and why boundaries must be communicated; without communication they aren’t really boundaries since the other person is unaware. Communicating the reasons for your actions provide reassurance and can help to avoid the cycling fill-in-the-blank assumptions a fearful MLCer might make regarding our actions. Bomb Drop was a year ago and my MLCer comes home and does chores every week, but he seems to be cycling away and I think he moved in with the alienator. When do I set the reasons #2 No Contact and does it mean I can’t allow him to come to the house to do chores even if I’m not there? Yes, it means that your MLCer is not allowed at the house. Exceptions may be made for child-exchanges, but in No Contact that means you need to be somewhere else or at least stay in a different area of the house. No Contact means you and your MLCer will not see each other—even if it is from a distance. Attending the same events separately are not included in this—you both may be at your children recitals or sporting events, but do not sit together. As for when to apply the Until aspect of the boundary that is about not being with two partner’s or being an inappropriate spouse, that is not as clear—even though it may seem like a clear issue to outsiders. The indicator is reassurance. How reassured is your MLCer that you want to reconcile your marriage? How do you know when they feel reassured and how much reassurance is enough? One of the biggest indicators is cake-eating. Has your MLCer returned or tried to return a few times? Premature returning is another indicator and an attribute of cake-eating. There comes a time when the Stander needs to draw the firm boundary line in the sand. That doesn’t have to mean an ultimatum about never reconciling—though it can. When the alienator is still involved in the situation, I recommend that line be No Contact. Notice that I did not simply state that should be a boundary when an alienator is involved, but rather when an alienator is still involved. In the beginning the dynamics of the situation are not yet set. Is this an MLC affair or will it end quickly and will your spouse seek marital healing and do the work to repair? This may seem confusing, maybe Bomb Drop was your spouse leaving and moving in with an alienator—that sure seems like it won’t end quickly and they are not interested in doing the work to repair, but you still need to allow the situation to settle so you can learn what methods will work in your unique situation. In the beginning MLCer’s cycle more and thus they may have longer or more frequent periods when they are receptive to their spouse, which means opportunities for Paving the Way are greater. A strict No Contact may prevent a cycling MLCer from seeking you out for positive touch-n-goes and may thereby prevent you from more effectively Paving the Way. The other No Contact is the boundary regarding contact with the alienator once your MLCer is reconnecting with you. If your MLCer wants to reconcile and is actively seeking to do that—they have ended the affair—contact with the alienator is not allowed. This may include contact with the alienator’s circle of influence. Ex. Chuck has No Contact with the alienator, her friends and her family—even though her family did nothing wrong. Of course this boundary is something an MLCer can break and so consequences must be considered ahead of time and communicated to your MLCer so that they know what will happen if they break the boundary. They cannot control the alienator and thus she or he may contact your MLCer. Part of the boundary is that your MLCer will notify you if the alienator attempts a contact. Maintaining the boundary is about applying consequences after they break the boundary and how you monitor that boundary. This differs from No Contact between the MLCer and spouse which is about when the MLCer is living with or dating an alienator (even while living separately). That type is about how you set the conditions to change the boundary and how you set those in motion when the MLCer wants to return. I am trying my best to be there for my wife. She has said that if it’s not who she is seeing now that it would be someone else. It has been 7 months since she has started to see him. She is going to a Christian consular and she says she is working on her self right now. Well, she's right that if it weren't this guy it would be another which really is indicative that it's not about you and it's not about him. She may be going to a counselor, but as long as she is also pursuing an adulterous relationship she is avoiding rather than working on her Self. That’s what I told her. I am worried about our children. The 7 year old daughter has met him. My 12 year old daughter said that she would make him miserable and kick him if she met him. I am really confused on what to do. She moved out on mothers day to a house and I live with my oldest daughter. I still do stuff for her when she needs it. You said that you don't recommend No Contact early in the MLC. Please explain how you define "early" in the MLC. Well, it does vary, but 1.5 to 2 years is beyond early and early is 12 months and can be up to 15 or 18 depending on the individual MLCer and situational dynamics. It doesn't mean No Contact should not be used in early MLC beyond the Time Limit type for space and healing, it means that I do not recommend it as general advice. I have recommended it, but only as specific advice when I know some details of the unique situation. But taking advice and applying it across all situation can be dangerous which is why I am hesitant about No Contact. It needs to be something applied with care and understanding of what it means. My husband has been living with this other woman, co worker, since he left a year & 1/2 ago. He has no contact with me or the kids. Has even signed custody of his minor daughter away. He wont answer our calls or texts and wont except calls through work unless is an emergency. He acts like our 22 year marriage never happened and has moved on with this other woman. Doesn't want us to know where he lives or anything else about him. I'm confused, is he really having a mlc and if he is, will he ever want contact? I still love him and want him back, but I just don't know. It sounds like he is a Distant Contacter. That often means you will not see all of the obvious signs and antics that people stereotype with MLC. It doesn't mean all the signs are not there, but with distant contact you just may not be able to observe them. As for whether he will contact, I can never say for certain, but in general I think Distant Contacters may take longer before contacting–they may progress further through the crisis and significant or connective contact may even be years later when they are feeling greater regret. Even though my soon to be ex is still with this woman and has been since he left, should I try to contact him myself to help in possibly paving the way. Or should I just continue with him not wanting any contact with me and not try to contact him at all? My husband seems to be a Vanisher/Distant Contacter (more Vanisher) and lives with our friend. I’ve contacted him in person, twice in the past 2 months. Several emails and texts–no reply. BD 4 months ago. Obviously, he doesn’t want to know anything about what is going on with the house, bills, etc. What to do? What about when there are kids involved? I’m primary caregiver of our son and see him more than my husband. I’ve gone dim only talking about our son and it seems to confuse my husband a bit when I end the calls first with no small talk. Last week I decided not to call our son at my husband’s place to say goodnight on the weekend nights as hes five and isn’t into the phone anyway. This weekend H seemed to mimic me in my actions which is odd because he doesnt see our son as often and loves calling our son. I even normally get a text from him telling me that he wont be calling if hes busy, but this time nothing. Is this a mimicing thing he’s doing toward me back in some MLC response?